View of Cape Town from Lion's Head. This might be my favorite city in the whole world. 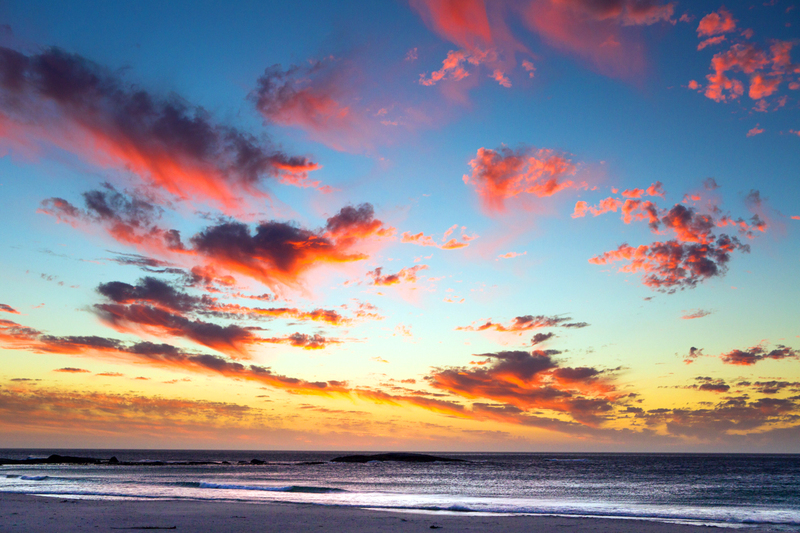 Here’s how to squeeze every drop of awesomeness out of Cape Town in less than a week. 1. 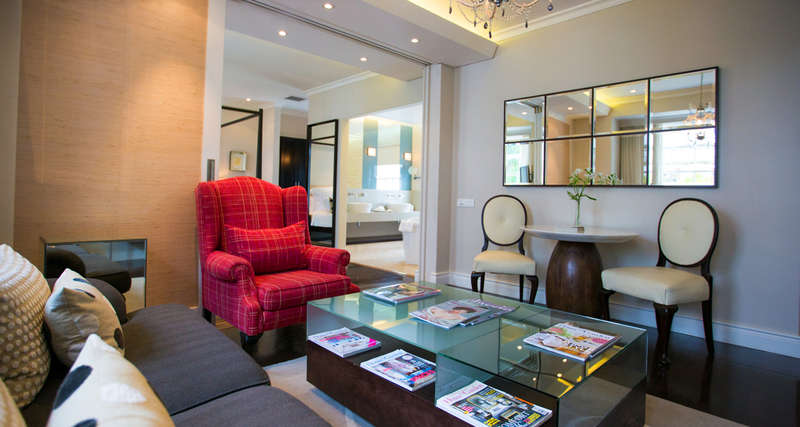 Stay at Ellerman House. Cape Town has a lot of cool hotels to choose from, but instead of staying at the One&Only or one of the other expensive luxury hotels downtown, check out the super-unique setup at Ellerman House. 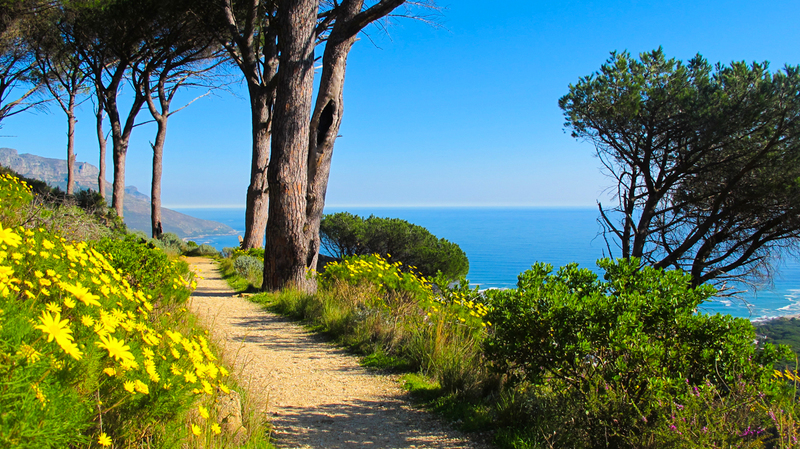 About halfway between downtown / waterfront and Camps Bay, Ellerman sits on a hill overlooking the ocean. They’ve got these spectacular gardens you can walk around, a full spa, and — my favorite part — the largest private art collection in all of South Africa. It basically feels like you’re sleeping in a luxury mansion that’s also an art museum. PRO TIP: If you stay in the new “villa” rooms, you are literally in the spa. The rooms are more contemporary and the doors of your room open up to a swimming pool overlooking the ocean. Ask anyone who lives in Cape Town — this place is beyond legit and comes highly recommended by locals in the know. The view right up the road from Ellerman House. 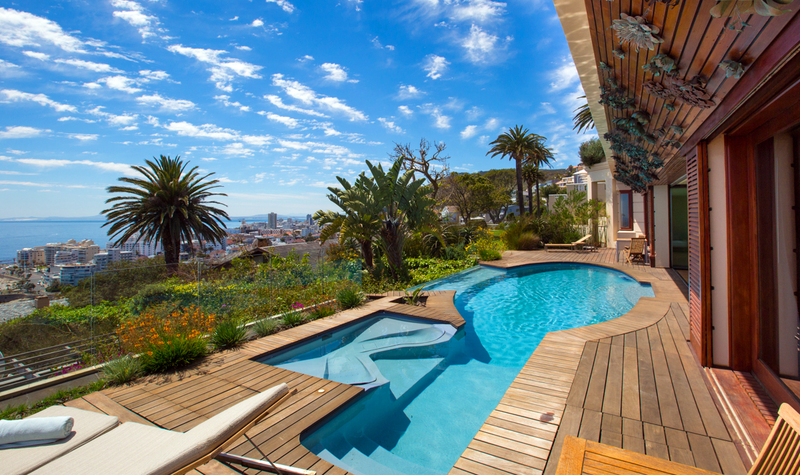 The villa rooms open to this spectacular pool at Ellerman House. 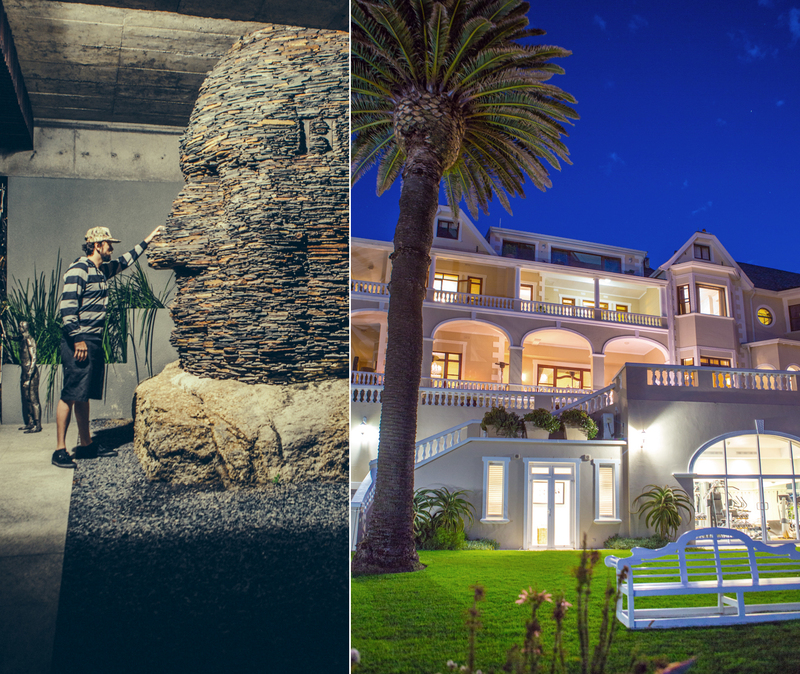 Gardens and outdoor art installations at Ellerman House. 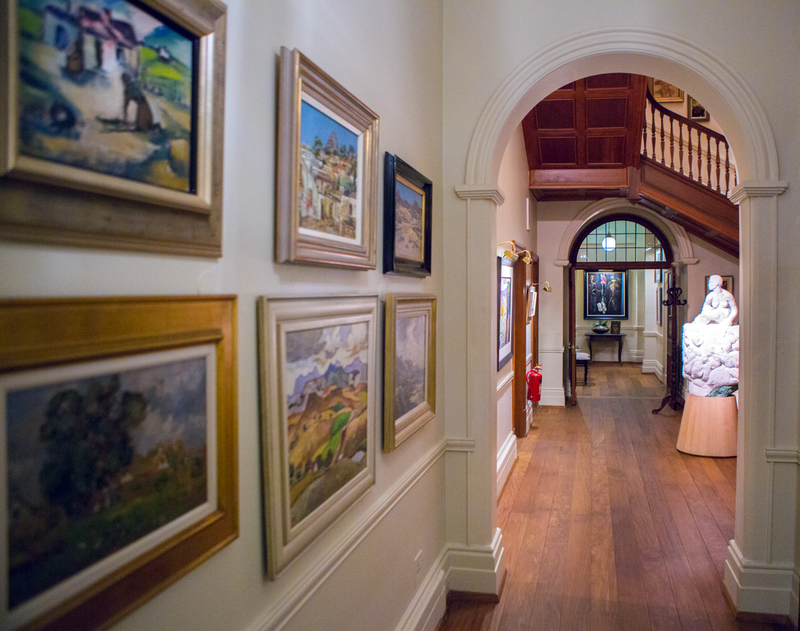 Ellerman House has South Africa’s largest private art collection. 2. Charge up Lion’s Head for sunset. 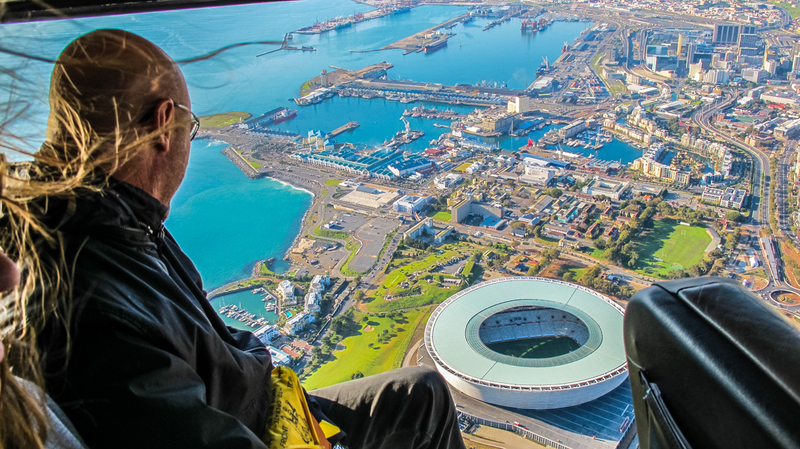 Drive or take a cab up to the junction point for the Table Mountain Aerial Cableway and the turnoff to Signal Hill, and you will find a road below Lion’s Head with a small parking lot. Start the hike from there and break a nice little sweat on the stunningly beautiful 45min hike to the top of Lion’s Head. PRO TIP: After about 12 climbs to the top of Lion’s Head, I’ve never had a problem, but people will warn you about coming down from Table Mountain or Lion’s Head after dark, because it can make you the target of a robbery. Probably best to heed that advice, so leave at least half an hour of daylight for your descent. The view of Table Mountain from the top of Lion’s Head. At the top of Lion’s Head, Cape Town is yours. 3. 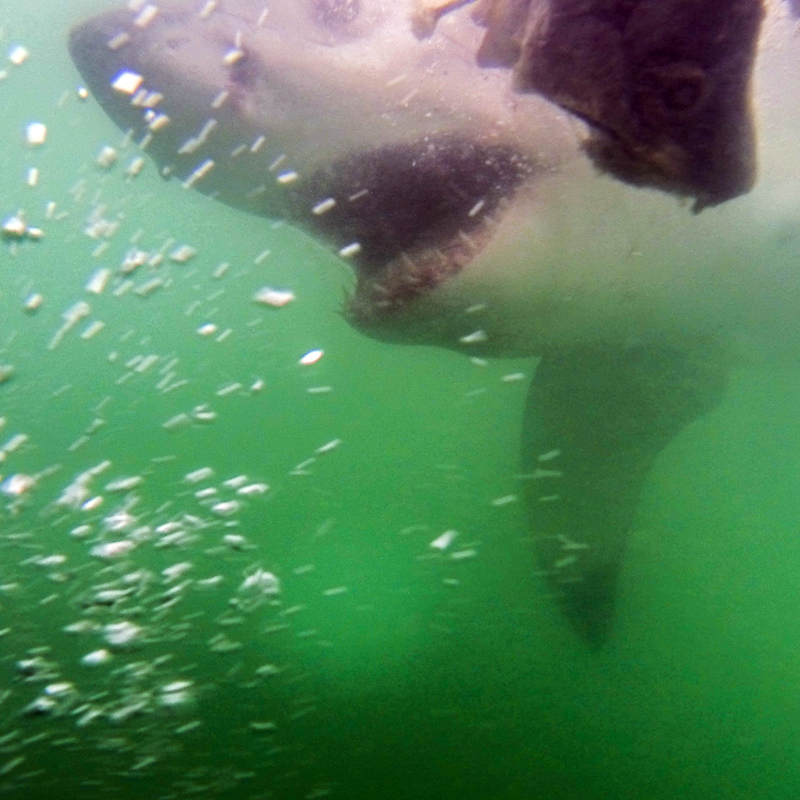 Go cage diving with great white sharks. This can be a tough call to make. I have personally gone twice and had completely different experiences. If you get a good day with solid visibility, the experience is worth every penny (and the full day it takes to pull off). Because the area where you see these amazing creatures is almost 2 hours south of Cape Town, and since the launch of the boats is subject to tides, the tours pick you up at some obscenely early hour, (between 3am and 4:15am). Don’t expect to get back into CT until sometime between 2pm and 5pm, depending on the day. All of that said, getting to see white sharks up close and in the wild (they’re one of the only animals that does not survive in captivity) is really special. Despite the Hollywood impression we have of white sharks as our ultimate enemy, these endangered animals are incredibly beautiful, and as apex predators they are also critically important to the health of the entire marine ecosystem. PRO TIP #1: The water visibility and sites where you get in the cage vary greatly by season. 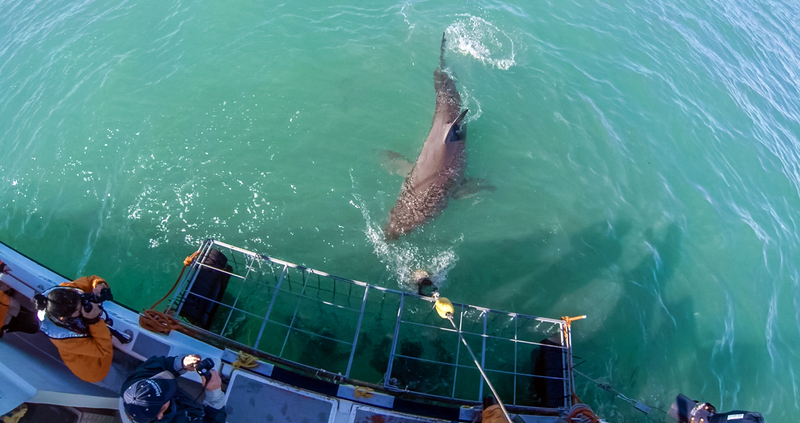 By far the best time to see great whites in South Africa is June/July, so if this is a big draw for your trip, that’s when you’ll want to come. During their spring/summer (Sept-Feb), the water visibility might be so poor it could be difficult to even see a couple feet in front of you, and at that point it’s better to just watch them from the boat. PRO TIP #2: Another drawback of doing the trip during spring/summer is that you’re battling some pretty big swells. Well over half of the people on our boat got very seasick. If that happens to you when you get in a boat, take some Dramamine and hope for the best — otherwise you might be helping the deck hands chum the water with your breakfast. Great white up close. Keep all fingers and toes inside the cage. 4. 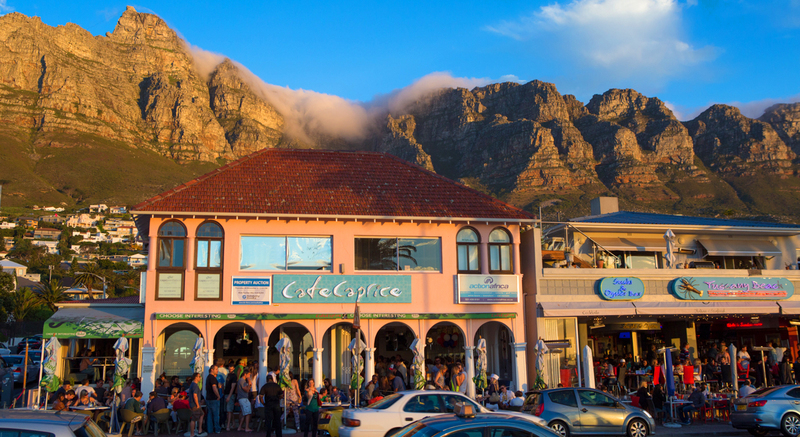 Spend a late afternoon drinking and eating in Camps Bay. 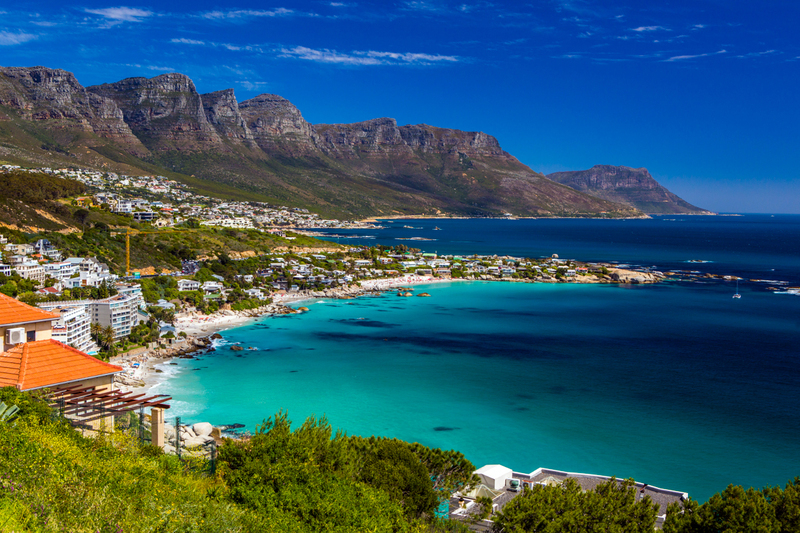 Camps Bay is a neighborhood and beach about 15 minutes’ drive from “the waterfront” / downtown. The strip along the beach has kind of a posh vibe, but you will be shocked by how inexpensive it is. The beach is gorgeous and some of the bars and restaurants play good music and attract lots of fun, beautiful people from late afternoon into the night. Start at Café Caprice for some caipirinhas and then head next door to The Grand for a steak or seafood dinner. 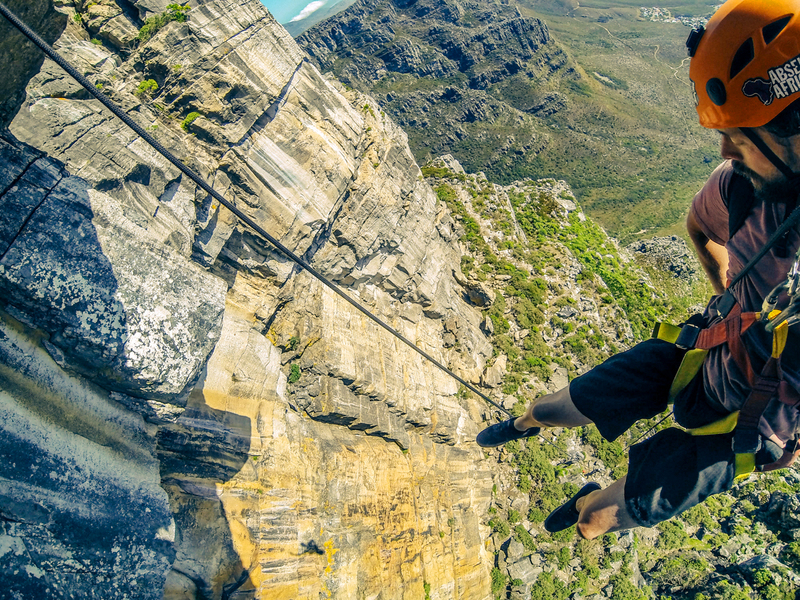 The only danger is that, if you do this routine once, you’ll want to do it every night you’re in Cape Town. The beach at Camps Bay and Cafe Caprice. PRO TIP #1: The food and drinks are so inexpensive at most bars and restaurants in Cape Town that you’ll literally think they messed up the bill. This should allow you to spend a little more on the hotel / accommodations without having to sacrifice any dining or nightlife. PRO TIP #2: For some of Cape Town’s finest restaurants, such as La Colombe, you will want to call ahead for reservations. Kusinicollection.com has a pretty solid list of the best restaurants in Cape Town if you’re into fine dining. 5. 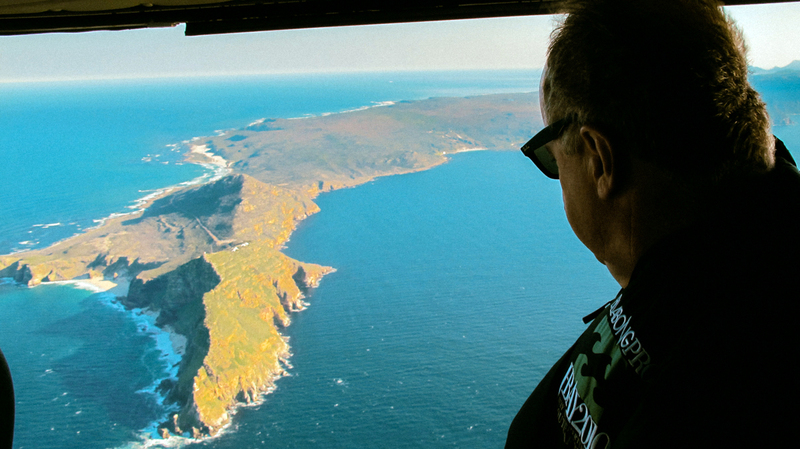 Get a tour of the Cape in a Huey helicopter. This is a different kind of heli tour, because you’re flying in a military aircraft and there are no doors! A great option for photographers because you can basically hang out the side of this thing. PRO TIP: This aircraft has a pretty amazing story. It has done two tours of duty in Vietnam, trained dozens of Navy pilots, and during Hurricane Katrina it was stolen by an off-duty sheriff and later returned. My hat goes off to that guy, whoever he is. “I want to make sure my mom’s OK, I’m just going to borrow this military helicopter for a couple days. I’ll be right back!” What a G! 6. 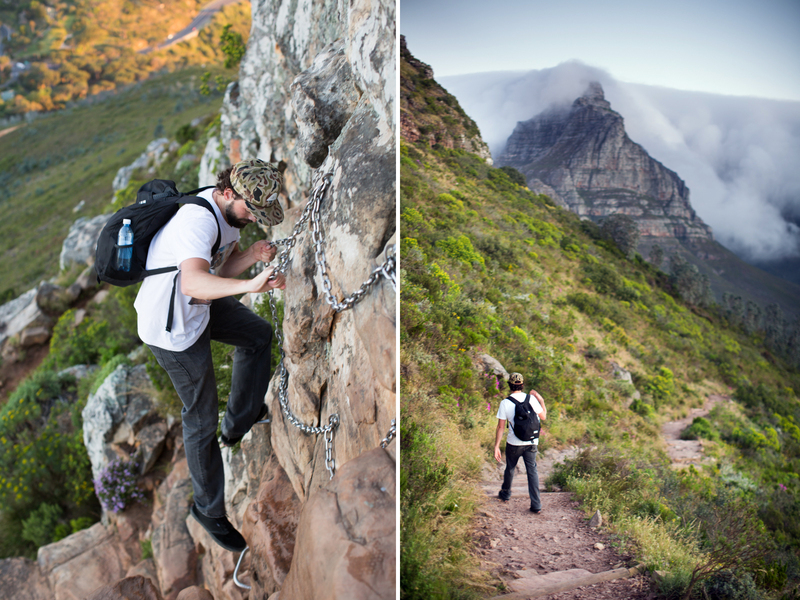 Get to the top of Table Mountain. 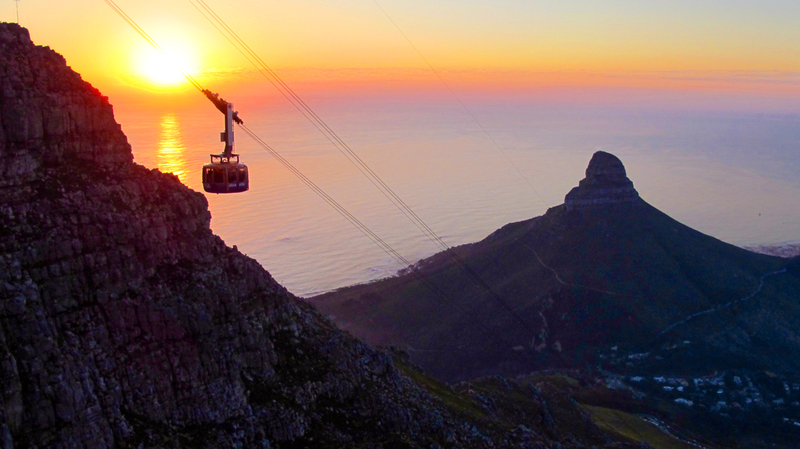 No visit to Cape Town would be complete without climbing (or at the very least, taking the tram) to the top of Table Mountain. 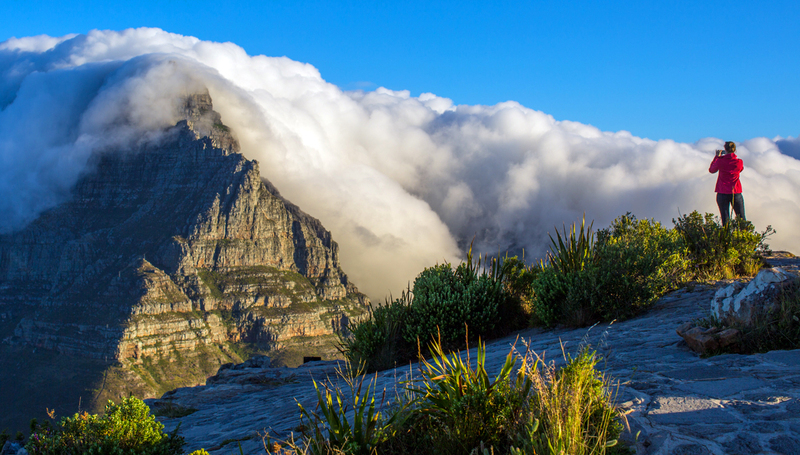 Table Mountain National Park is a dramatic range of rocky cliffs and mountains that stretches all the way across the coast south of Cape Town, the crowning jewel of which is Table Mountain itself, which offers a stunning view of the city, the coast, and Lion’s Head below. PRO TIP: The hike is a serious one. 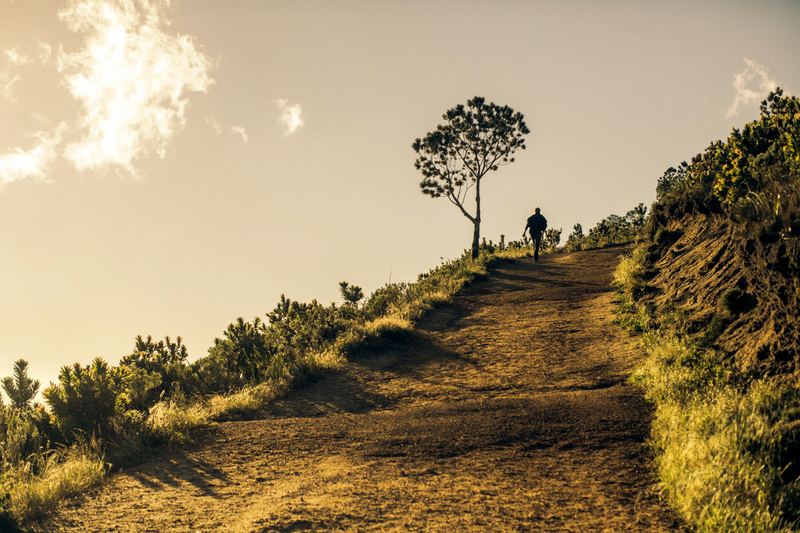 It will take you between 2 and 4 hours to reach the top, you will definitely need water, and you should pay very close attention to your route. 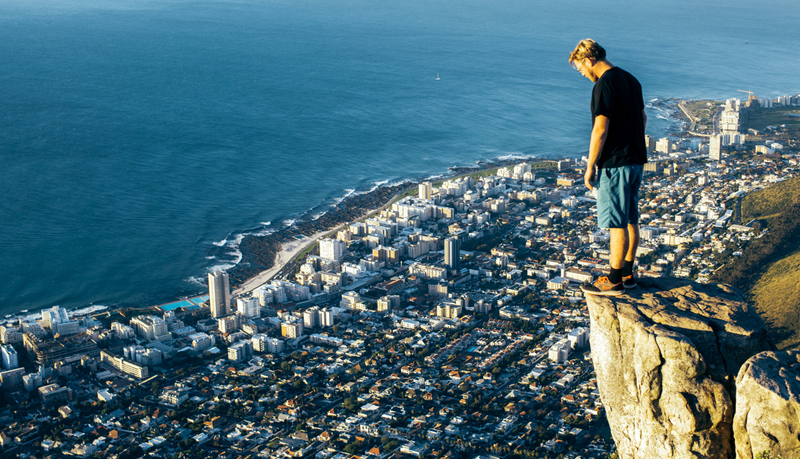 On my first visit to Cape Town I climbed up with no problem but lost my way while descending, and at one point found myself fully closed out with sheer cliffs below me. I had to very carefully climb back up and backtrack until I found the right path. It’s not unusual for people to have to be rescued from the cliff face on Table Mountain, so this is not an area to take lightly. That said, if you are fit and confident on the trail, it is by far the best way to experience Table Mountain. 7. 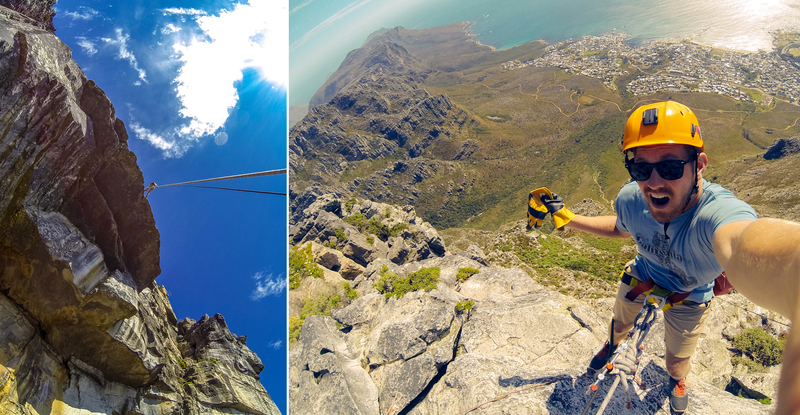 Abseil off the top of Table Mountain. Abseiling (or “repelling” as most of us Americans call it) involves putting on a climbing harness and feeding a rope with a fixed anchor at the top through a device that creates enough friction to let yourself down from a sheer cliff. I would HIGHLY recommend this to anyone feeling adventurous during his/her visit to Cape Town and wanting to get a unique view of Table Mountain. The people at Abseil Africa are pros and there’s not much that can go wrong, even if you tried to screw it up. You are super exposed (meaning a lot of air underneath you), and the rope hangs right off this massive rock ceiling about 50 meters down, after which you are just suspended in the air. It was awesome and I will definitely be doing it again next time I’m in Cape Town. PRO TIP: You don’t even need a reservation and these guys are open for business pretty much anytime the tram is running on Table Mountain. If you’re not sure you’re up for it, just go find them and watch another person do it first. Totally worth it. 8. Spend an entire afternoon / evening bar hopping on Long Street. The best nightlife experiences I’ve had with locals in Cape Town have always been bar hopping along the famous Long Street spots. You’ll find a lot more local people here than in an area like Camps Bay, and there are tons of awesome little bars to explore. Get lost, make some new friends, and have fun. PRO TIP #1: This is not a dangerous area, but many of the bars are pretty well known for purse/bag thieves, so party responsibly and keep a close eye on your stuff. PRO TIP #2: A great place to start in the late afternoon is the rooftop bar at the very top of the Grand Daddy Hotel. I’m not sure how they did it, but they’ve put a bunch of old-school Airstream trailers on the roof (which you can actually rent like rooms), and that aesthetic plus a DJ and drinks on the skyscraper rooftop = GREAT happy-hour spot. The Rooftop bar at the Grand Daddy Hotel with rentable Airstream rooms. 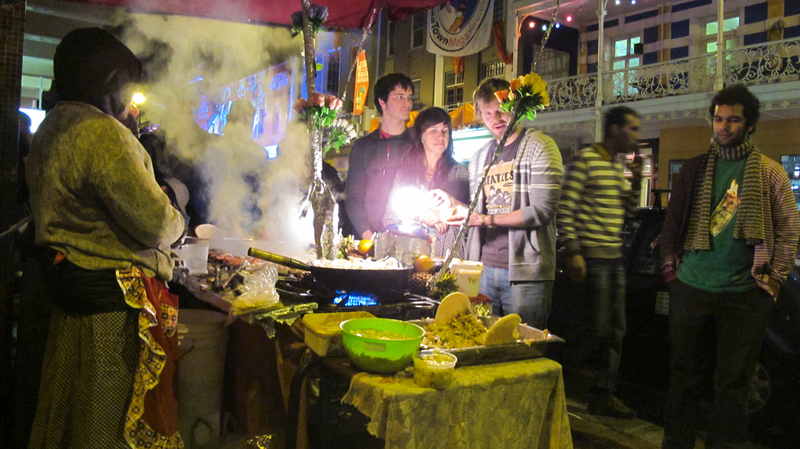 Late night eats after bar hopping on Long Street, Cape Town. 9. Take a drive through wine country in Stellenbosch. Stellenbosch is the region renowned for producing South Africa’s top wines. The area is gorgeous and filled with acclaimed restaurants and fancy winery + resorts. If you have the time and the cash, it is definitely worth the trip (about 2 hours from Cape Town by car). 10. Do a night of wine and country luxury…right outside of Cape Town. If you want to experience a night of wine and food but don’t have time to go all the way up to Stellenbosch, another good option is The Cellars-Hohenort. This is a wine / food experience in an old home turned luxury hotel, and it’s just a 20-minute cab ride from downtown Cape Town. A great option for couples who want to get away for a night of romance without renting a car. PRO TIP: Their signature dish is the crispy duck and it’s the best duck I’ve ever had in my life. 11. Come with the whole family and rent a house in Camps Bay. You’ll notice driving and walking around Cape Town that a lot of the private residences have a super sick design aesthetic. It’s clean, modern, and plays to many of the spectacular natural elements of the city — e.g., the mountains that lie behind and the ocean in front. Whether you’re a couple and just want the privacy of a private home, or you’re bringing the whole fam and need a 5br place, Blue Views has got you covered and I would definitely recommend checking out their properties. 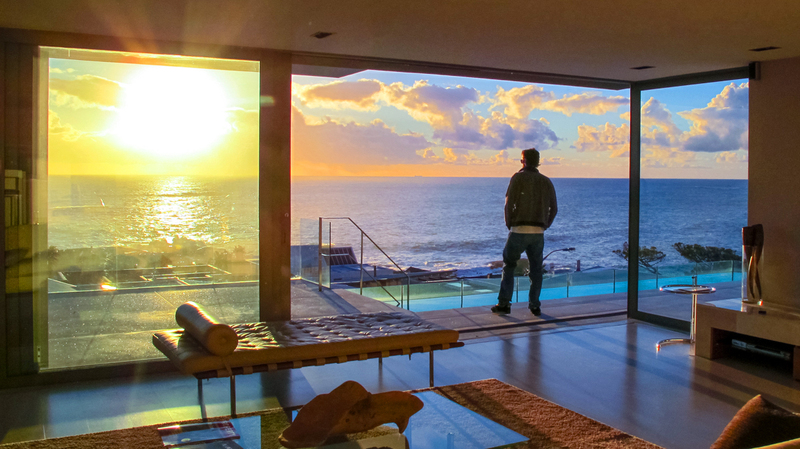 PRO TIP: The Blue Views property “Penthouse II” in Camps Bay is as cool as it gets, with huge doors that slide open to the ocean, and would be perfect for a big family or a group of 4 or 5 couples. 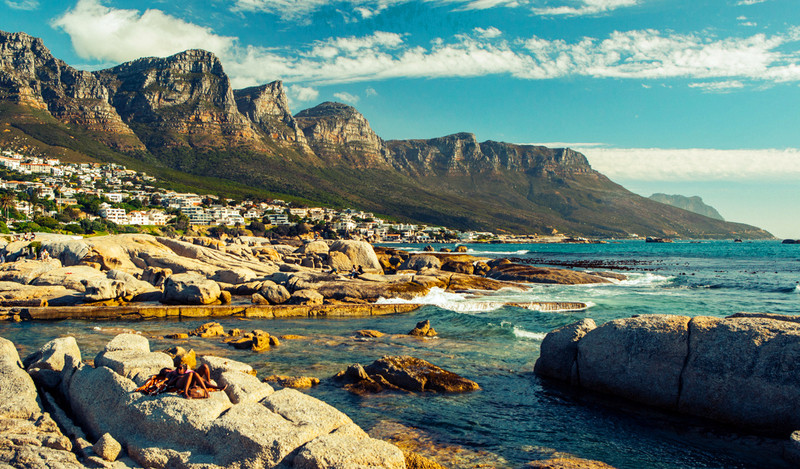 If you’re headed to Cape Town soon, I’m jealous. This is easily one of the best cities in the world. ENJOY. * Images by Scott Sporleder and Ross Borden. Their stays at Ellerman House and the Cellars-Hohenort, both proud members of the Relais & Châteaux Association, were comped on this trip.